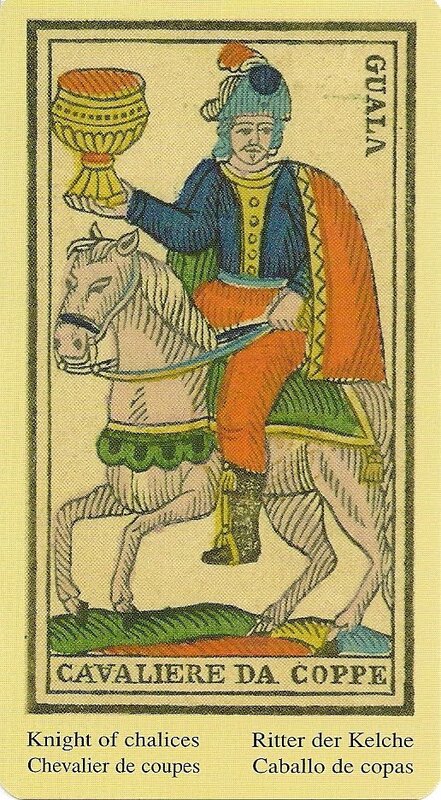 Lo Scarabeo published the first reproduction of this deck as "Antichi Tarocci Divinatori" in 1995 with divinatori meanings in Italian added at the bottom of each card. It included a title card and nine instruction cards in four languages. The edition publisahed in 2000 has a LWB instead of the presentation cards and titles in English, French, German and Italian instead of the divinatory meanings. The original deck belongs to a private collection in Turin. Giovannbattista Guala worked in Ghemme, a Piedmont town. 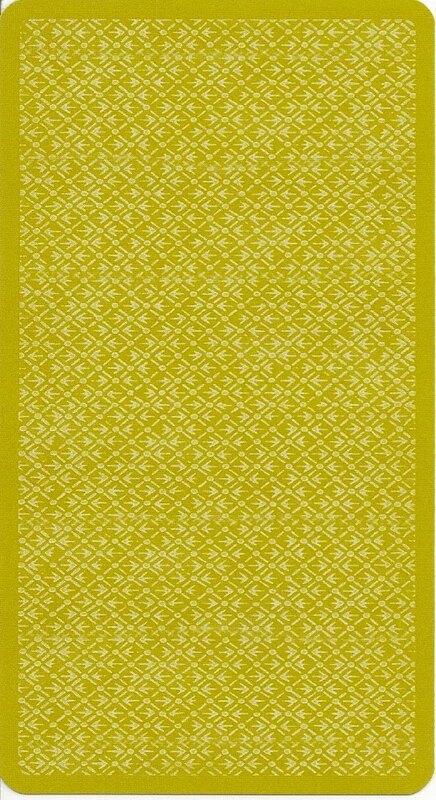 He made the deck around 1860 from woodblooks and coloured using stencils. 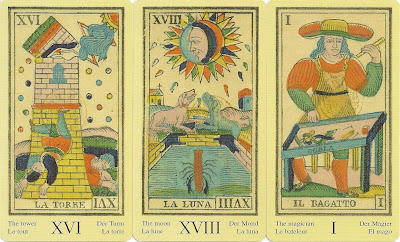 The original numbering of the Major Arcana was in Roman numerals, in the upper left hand and lower right hand (reversed position) corners of the card. The reprint has additional a Roman number in the middle of the bottom of the card. The suit names are: Bastoni (Wands), Coppe (Cups), Spade (Swords), Denari (Pentacles). 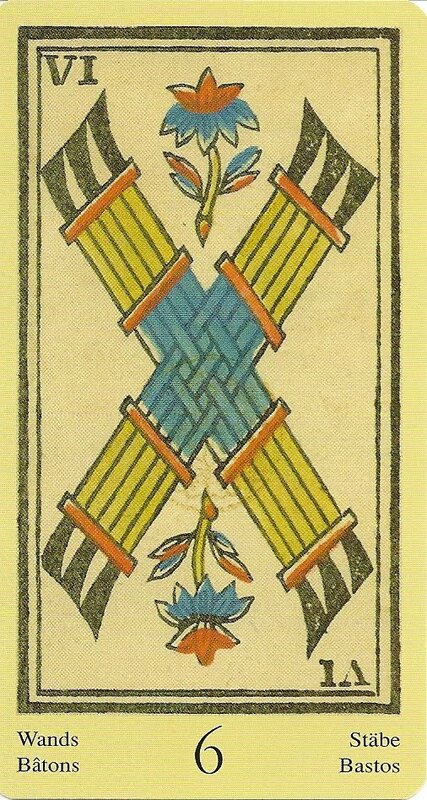 For the suits of Wands and Swords the cards two through ten also have the original number in Roman numerals on the top left hand corner and bottom right hand corner (reversed). The reprint has an additional number in the middle of the bottom for all four suits. On all of the Court cards appeares the printers name and, with the exception of the Page, they carry the title in Old Italian across the bottom. 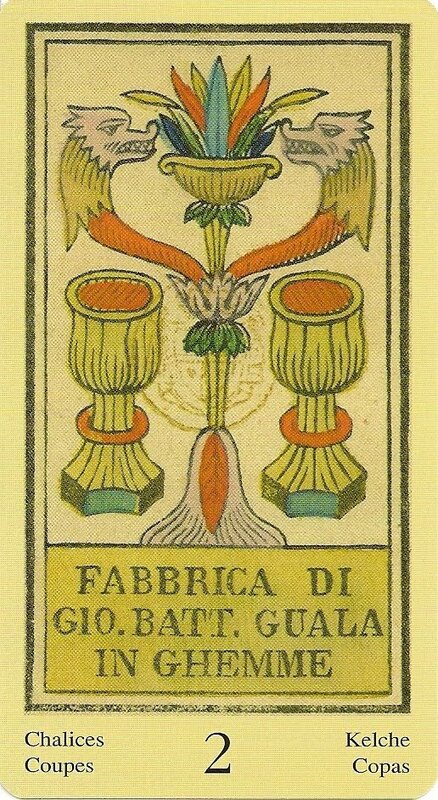 The printers name also appears on the Major Arcana Il Pazzo, Il Bagatto and Il Mondo and on the Two of Cups. The printers stamp appears on each of the card (in some cards it is more visible than in others). It is a printers stamp and no tax stamp, because the stamp does not indicate value. It is a round stamp of a four part coat of arms topped by a crown.